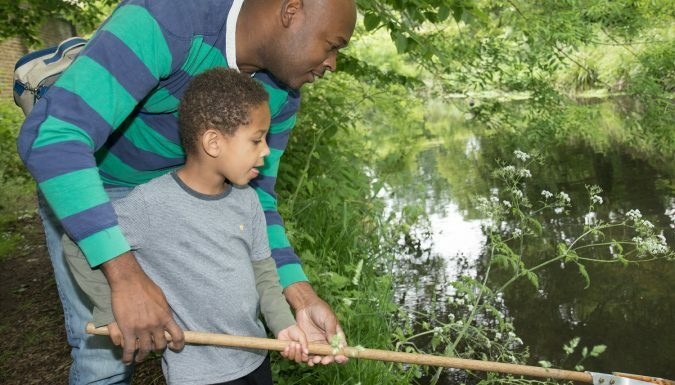 At BioBlitz 2017 you can explore the amazing Morden Hall Park as we help you find, identify and record as many species as possible over this fun-filled weekend. 3rd June – This is our action-packed day of species recording across the park, with lots of great activities to get involved with and experts from different organisations to speak to. 4th June – Our BioBlitz continues as our volunteers and visiting experts take time to identify and record all the exciting species that we have found. There will also be more hands-on activities to take part in. Talks & demonstrations, Stalls (information/membership), Spider spotting, Reptile ramble, Pond dipping, Moth trapping, Mammal trapping, Bug hunting and a Bat walk. Drive: off A24, and A297 south of Wimbledon, north of Sutton. The Garden Centre car park is open 8am – 6pm (special arrangements will be made for early and late activities). This has limited parking and a charge will apply (NT members permitted free parking for a limited time). We recommend using public transport where possible. Enormous thanks to all of the external experts and organisations that will be joining the National Trust for this special event.